The average price for this game in the past 6 months is $8.96. The game first became 50% off on Feb 14, 2017 at Steam Store. Lowest historic price was $7.92 on Dec 30, 2018 at Green Man Gaming. New historic low price on Lightning Returns: Final Fantasy XIII-3, a title that rarely goes on sale since the PC port debuted in late 2015. At only $10, its a good grab for fans of the series and one of the better Final Fantasy title in recent years. The instant savings discount on the well received PC Port Lightning Returns: Final Fantasy XIII-3 lost its 10% instant savings discount today... but GMG's 23% off coupon code is still valid cutting the price to $15.40. The 23% off code ends tomorrow morning. GMG's new 23% off coupon stacks with the instant savings still live on Lightning Returns: Final Fantasy XIII-3. Now 31% off the $20 list price for last week's PC Port release. New low. Lightning Returns: Final Fantasy XIII-3 has been ported to PC today by Square Enix. A 10% discount at launch can be found at Steam, and at GMG there's a 20% discount to stack dropping the price to $14.40 (28% off total). A lack of reviews means we don't know if the port is any good, but at least the discount is decent. Release date announced and confirmed earlier this morning, Lightning Returns: Final Fantasy XIII-3 is finally heading to the PC this December 10th. Square Enix is billing it as a 60 fps port. Good news all around for FF fans. All previously released DLCs are include in this port to the PC. The average price for this game in the past 6 months is $8.46. The game first became 50% off on Jan 20, 2015 at NewEgg. Lowest historic price was $5.99 on Feb 23, 2016 at GameStop. The instant savings have been wiped, but the 25% off coupon remains at GMG on FInal Fantasy XIII-2 at GMG. Lowest price you'll find online at the moment from a digitally authorized retailer. Still available, Final Fantasy XIII-2 is only $13.50 at GMG on its release day. The game technically releases in 3 hours, but if you buy now GMG will instantly give you a Steam key, and you can begin the pre-download now. Once the game releases we expect the price to go up. Final Fantasy XIII-2 launches on Steam tomorrow for $19.99. Up till then there's a $3 off instant discount to $17 but it's even better at GMG where a 25% off coupon cuts the price to $14.40. A solid 32% discount prior to release. Next week's release Final Fantasy XIII-2 is only $14.40 after a $2 instant savings and stacking 20% off coupon at GMG. Activates on Steam. Final Fantasy XIII-2 for PC now available for sale. Steam has a 10% discount from $19.99 to $17.99, but GMG is matching AND you can stack a 25% off coupon for additional savings. 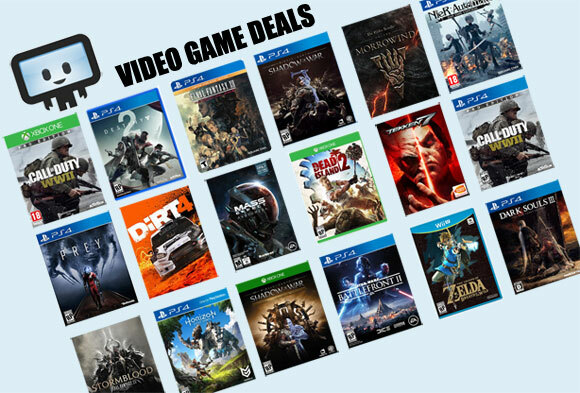 The instant savings and coupon get the game down from $20 to $13.50. Game releases December 11th. The average price for this game in the past 6 months is $6.77. The game first became 50% off on Dec 12, 2014 at . Lowest historic price was $4.79 on Feb 23, 2016 at GameStop. Amazon matches Newegg price on FF XIII. At $4.80 its hitting new historic low price. No coupon to fuss with and much easier to checkout in many aspects. Steam key. FF13 hits lowest ever price on the PC - straight from the Square Enix store front. Steam key. Previous lowest price was $10.80 so this blows it away easily. If you don't want to wait for the Steam et al. winter sales, this is a solid price. Final Fantasy XIII out today on Steam. GMG's 20% coupon cuts $3 off the full $16 price tag. It's the first FF13 in the series of 3, with Final Fantasy XIII-2 and Lightning Returns: Final Fantasy XIII coming to PC by early 2015. Last chance to pick up Final Fantasy XIII on the cheap. Tomorrow the game makes its debut on Steam for $16. Not a bad price point when you consider the game released for $59.99 on console back in the day... but you need not even pay $16. GMG's coupon and 10% instant savings gets it down to $11.52. After the game releases tomorrow the instant savings will be gone bumping up the price a bit. How are we already in October!? FF13 for the PC heading to Steam in just a week's time. DLGamer's got the game for a total of 30% off vs Steam Store (for the same Steam key). Solid deal. Amazon has Lightning Returns: FF13 for only $11.40 and its currently the cheapest ever price for the game. Now you can add it to your collection for the sake of completeness. The average price for this game since released is $40.48. The game first became 50% off on Dec 3, 2014 at Amazon. Lowest historic price was $11.40 on Jan 18, 2016 at Amazon. A title that can make all FF fans die a little bit inside, Final Fantasy 13 uh, dash three (seriously...) is set to be released sometime in 2013. This third installment in the Fabula Nova Crystallis saga looks to be final chapter in Lightning's story line. Newegg lets you pre-order well ahead of time, $12 off for the 360 and PS3 version. The average price for this game since released is $28.90. The game first became 50% off on Apr 2, 2012 at Best Buy. Lowest historic price was $5.09 on Nov 27, 2015 at NewEgg. Clearance price for FF 13-2 for the PS3 at $10 with free ship. Might be a good title to pick up if you never tried and you're eyeing Lightning Returns, which comes out next month. Lowest price ever on Final Fantasy XIII-2 for Xbox 360 and PS3 at Toys 'R' Us. The game was released on January 31st and even after the $5 shipping charge this is cheapest ever by $5. Final Fantasy XIII-2 releases today. Best deal online right now is Amazon for full price but with a huge $20 bonus credit. That's the best net value we've seen so far by $5. Releasing next month, FF 13-2 will be an exciting title for FF 13 fans everywhere. Personally I think they should just make a game starring only Lighting, but maybe that's just me... $45 from ToysRus, next best price is $57 everywhere else. The average price for this game since released is $44.04. The game first became 50% off on Dec 1, 2014 at Amazon. Lowest historic price was $14.99 on Aug 12, 2015 at . Amazon has Lightning Returns for only $15 - a solid price and matches previous low (which was for a used copy). If you don't have the game in your collection yet, this is a good as time of any to add. Can't go wrong with Lightning Returns at 20% off only a little bit over a month after its release date. If you've been on the sideline because you didn't want to pay the $60 MSRP, this is a good game for FF 13-3 fans. Last chance to get FF13-3 Lightning Returns at a pre-order discount before its release next month. Newegg's 48-hours only $5 off coupon ends tomorrow. Rarely on sale and only time its been under $50 was well more than a year ago (Oct 2012). Well if you're eagerly waiting for FF 13-3: Lightning Returns then Newegg has a small pre-order deal for you. Quick and easy $5 off for a game you know you'll play (I mean come on, you have FF 13-2 on your shelf after all). I wish they made a FF 8-2!!! Squall's gunblade R1 press critical hit mechanic for the win! This is 13-3, not 8. The average price for this game since released is $34.83. The game first became 50% off on Nov 28, 2014 at NewEgg. Lowest historic price was $29.99 on Nov 28, 2014 at NewEgg.